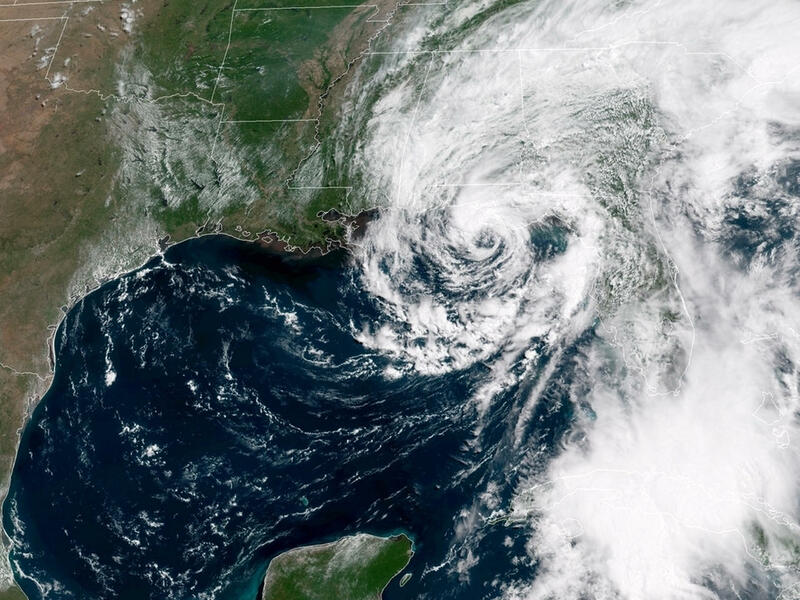 PANAMA CITY, Fla. -- Subtropical Storm Alberto was downgraded to a subtropical depression Monday night, hours after making landfall along the Florida panhandle, the National Hurricane Center said. Heavy rains are expected, with up to 12 inches possible over in parts of the Florida panhandle and Alabama. "Given the short period of time before Alberto makes landfall, its overall ragged appearance, and proximity to dry air, little change in strength is expected before the subtropical storm reaches the coast," said John Cangialosi, a hurricane specialist at the hurricane center. As Alberto's center heads inland -- deprived of the warm waters that fuel tropical weather systems -- the storm was expected to steadily weaken. A subtropical storm like Alberto has a less defined and cooler center than a tropical storm, and its strongest winds are found farther from its center. A tropical storm warning is in effect for a stretch of coastline between Aucilla River in Florida's Big Bend and the Alabama-Florida border. What's in store for storm Alberto? The mayor of Orange Beach, on Alabama's Gulf Coast, said Alberto brought rain and aggravation — and dashed hopes for record Memorial Day crowds. Instead, red flags flew on Alabama beaches and officers patrolled, making sure no one entered the water. The NHC defines subtropical storm as a "subtropical cyclone" in which the maximum sustained wind speed -- using the U.S. one-minute average -- is 39 mph or higher. Subtropical storms have cooler centers than tropical storms, but they can eventually develop into tropical storms and then into hurricanes.